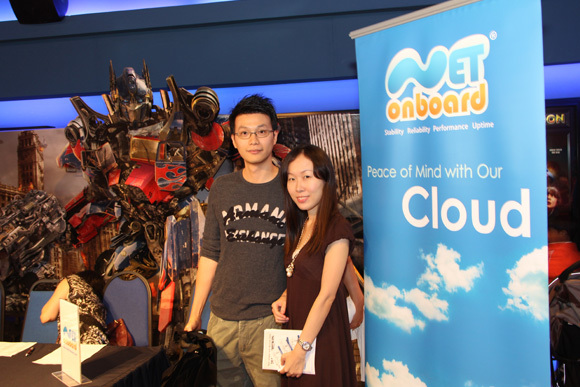 Transformers: Dark of the Moon – Net Onboard Movie Day @ Cathay Cineplex! 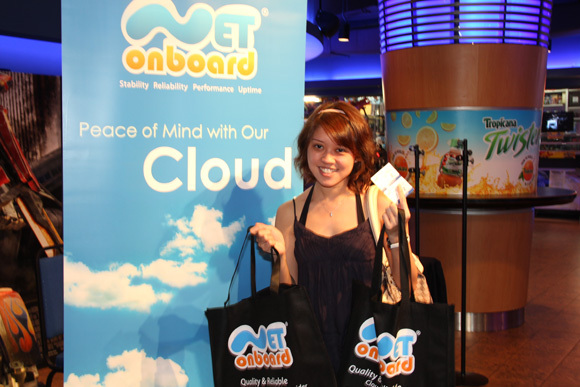 Once again, Net Onboard had a very successful Movie Day event on 2nd July 2011 at Cathay Cineplex Damansara, e@curve. 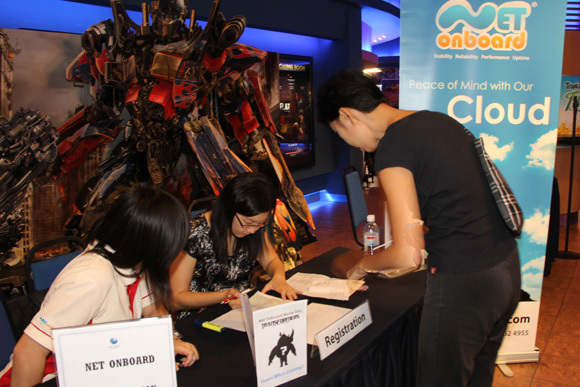 This is the 3rd time of Net Onboard has organized Movie Day event and this time we are giving out free movie tickets for a box office movie, Transformers: Dark of the Moon to our valued customer. 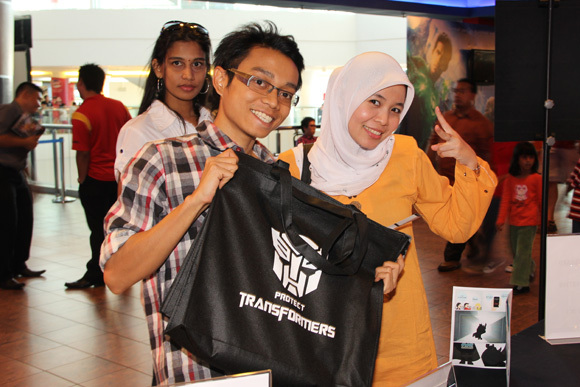 Besides, to those whoever visit our booth and redeem the free movie tickets on that day, we also giving out a Transformer goodies bag for FREE! Isn’t great? Net Onboard has produced a short clip about save the earth and go green concept to play during the movie screening. A superhero appears and save the world. Who is the Superhero? Guess it and win a special prize! You may visit http://www.youtube.com/netonboard for the short clip. Special thanks to those who attend the event and make the event successfully. We appreciate our entire valued customer who support us and be with us along these years. Hope that you did enjoy the movie very much. To those who unsuccessfully get the tickets, don’t be disappointed. Stay tuned with us and we will bring more reward treats to you. Have a nice day. 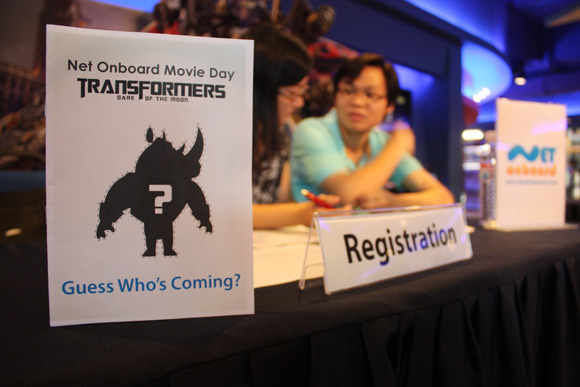 Event, Rewards movie day, transformers July 4, 2011 by admin. Guess what? Net Onboard is back with its 2011 Movie Day again. This time we are going to screen a box office movie, Transformers: Dark of the Moon. So for the entire Transformers fan out there, are you’ll excite for the movie? Why don’t you all join us watching the Autobots learn of a Cybertronian spacecraft hidden on the Moon, and race against the Decepticons to reach it and learn its secrets, which could turn the tide in the Transformers’ final battle. Optimus Prime : Autobots… roll out !!! 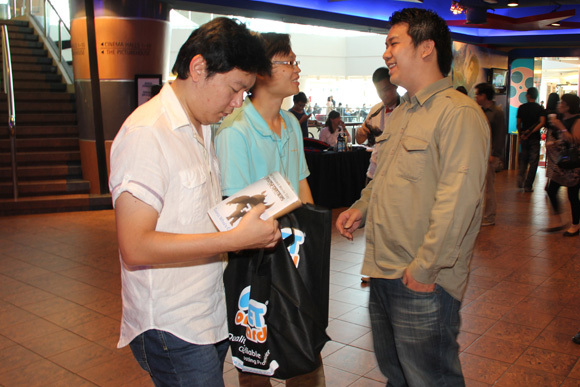 Event, Rewards movie day, transformers June 1, 2011 by admin. Yeay!! 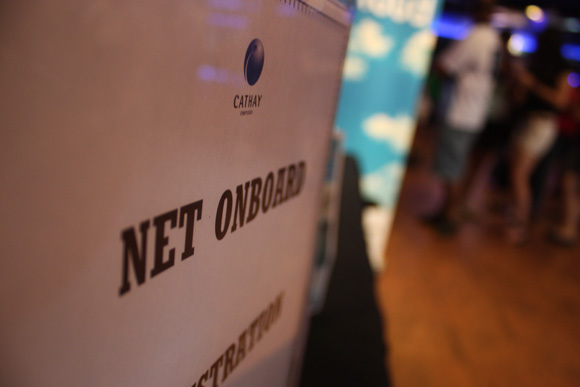 Net Onboard 2010 Movie Day is just around the corner. This time, we choose The Social Network, a story about the founders of Facebook. Some of the movie’s cast includes Jesse Eisenberg (zombieland), Andrew Garfield (The Imaginarium of Doctor Parnassus) and Justin Timberlake. We do hope you can join us enliven our 2010 Movie Day. 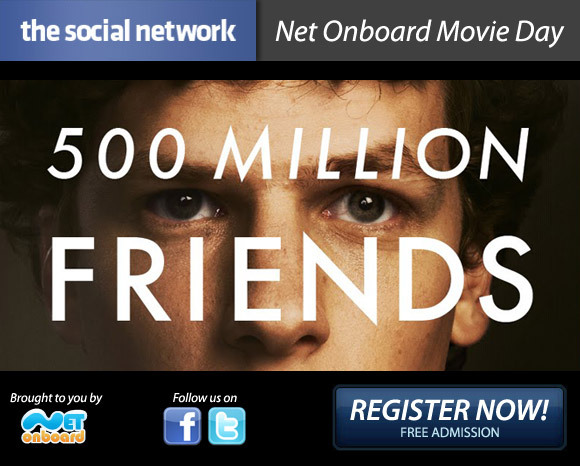 Event, Rewards, Sponsorship facebook, movie day, the social network November 18, 2010 by admin. Get FREE Merchant Listing at Virtual Mall for your Online Store/Website today. Virtual Mall is the eletronic mall a.k.a ecommerce solution that uniquely developed and managed by Net Onboard using the latest SEO mechanism with multiple Revenue Booster Programs, that brings quality merchants and shoppers under one roof. The best part is you as our client, may now enjoy the new service launched namely “Merchant Listing” worth RM200 at absolutely FREE, exclusively for Net Onboard clients only. 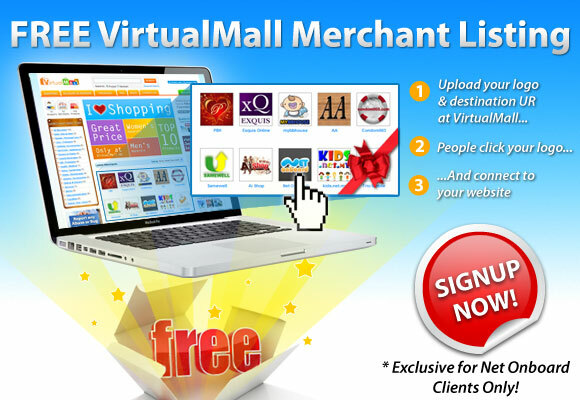 By subscribing to Merchant Listing, your website link will be listed at our VirtualMall website along with other Merchants, thus increase the chances of more shoppers to visit to your site. Act fast. Sign up today or get more details at below link. Limited license to grab. Kindly enter thisÂ VMML250 voucher code upon at Promotional Code field upon signing up to entitle for FREE Merchant Listing. Promotion, Rewards directory, free, merchant listing, virtual mall October 20, 2010 by admin. Referral Campaign – September Winner! The month ofÂ September has just ended. It is now the time for us to announce the winner of our Referral Campaign Coffee Bean Voucher forÂ September Winner. The winner is entitled for a Coffee Bean Voucher worth RM50.00. Now, the winner goes toÂ Mr.Hazman HassanÂ from http://www.purebatik.net/. Congratulations, Mr. Hazman Hassan!! You may now enjoy the coffee goodness and scents with you family or friends. For those who are not selected, you do not have to worry. We will announce more winners in the future. Announcement, Rewards coffee bean, free voucher, Referral October 7, 2010 by admin. The month ofÂ July has just ended. It is now the time for us to announce the winner of our Referral Campaign Coffee Bean VoucherÂ July Winner. 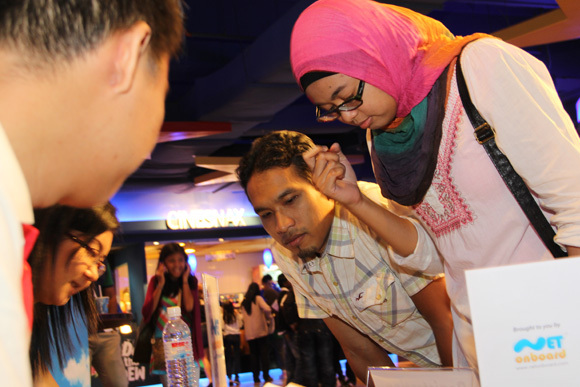 The winner is entitled for a Coffee Bean Voucher worth RM50.00. 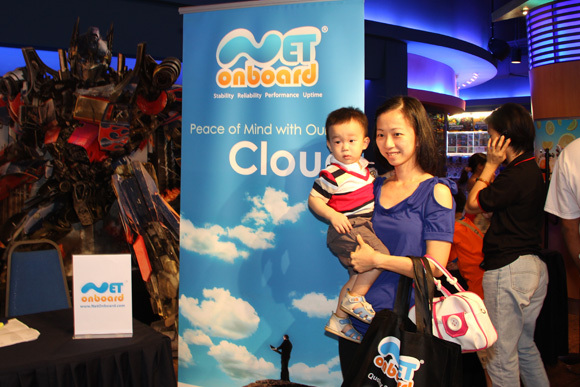 Now, the winner goes to Mr.Â Lai Heng ChoongÂ from http://www.kids.net.my. Congratulations, Mr. Lai!! You may now enjoy the coffee goodness and scents with you family or friends. For those who are not selected, you do not have to worry. We will announce more winners in the future. Announcement, Rewards coffee bean, Reward August 2, 2010 by admin. Referral Campaign – June Winner! The month ofÂ June has just ended. It is now the time for us to announce the winner of our Referral Campaign Coffee Bean VoucherÂ June Winner. The winner is entitled for a Coffee Bean Voucher worth RM50.00. Now, the winner goes to Mr.Â Johnson Tay Chong Seng from www.vialentino.com. Congratulations, Mr. Johnson Tay Chong Seng!! You may now enjoy the coffee goodness and scents with you family or friends. For those who are not selected, you do not have to worry. We will announce more winners in the future. Announcement, Rewards July 7, 2010 by admin. The month of May finally ended. Guess who won the Coffee Bean Voucher for this month.Tadaa..!! It’s Xiao Ai from www.aishop.com.my. Congratulations Xiao Ai. You are our lucky winner for Referral Campaign Coffee Bean Voucher May Winner. You are entitled to received a Coffee Bean Voucher worth RM50.00. You may enjoy the previllages at Coffee Bean with your love one or even with your friends. For those who are not selected, you may try again because there will be another winner for the next end of month. Announcement, Rewards campaign, coffee bean, Referral June 10, 2010 by admin. The month of April has just ended. It is now the time for us to announce the winner of our Referral Campaign Coffee Bean Voucher April Winner. The winner is entitled for a Coffee Bean Voucher worth RM50.00. Now, the winner goes to Mr. Daniel Koh from http://www.rndtechs.com. Congratulations, Mr. Daniel Koh!! You may now enjoy the coffee goodness and scents with you family or friends. For those who are not selected, you do not have to worry. We will announce more winners in the future. Announcement, Rewards campaign, coffee bean voucher, Referral May 6, 2010 by admin. Referral Campaign – Join, Refer, Earn & Win RM50 Coffee Bean Voucher! Thank you for all your support to our Referral Campaign. No, we are not going to end this program. In fact, we are going to continue the Referral Campaign due to your countless support with even better deal. Join our Referral Club and start referring your friends or anyone in your network to us. By becoming a member you are not only will earn extra income, you will also stand a chance to win Coffee Bean Voucher worth RM50! The winner will be picked randomly for each month. Now, you can enjoy the sweet coffee scents with your friends while making money with our Referral Club. So hurry up and don’t miss out this great deal! Announcement, Rewards campaign, coffee bean, free voucher, Referral March 15, 2010 by admin.